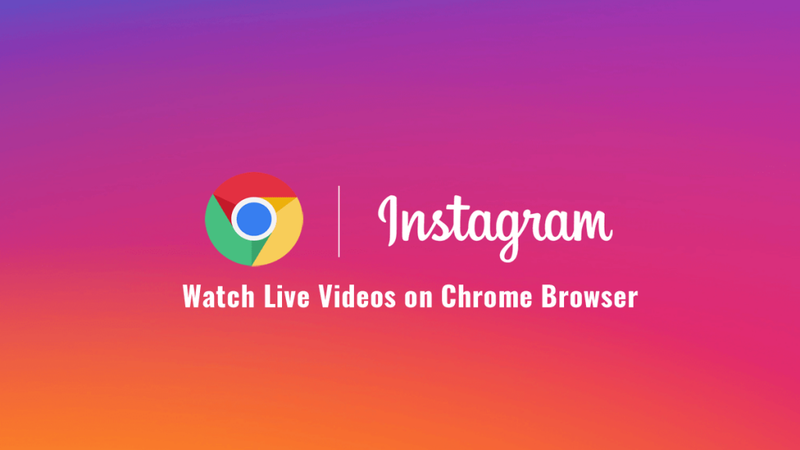 Want to watch Instagram live videos on Chrome browser? The following blog post will walk through the steps. If you’re the one spend the majority of the time using the Instagram app on the phone, then you must have checked the live videos feature. And if you prefer to check Instagram feed through the web browser, then you won’t find the web version of the app useful, especially in the case of live videos. It is because the Instagram web version doesn’t allow users to watch live videos. There might be users who want this functionality, right? And if you made up so far, then you’re one out of them. 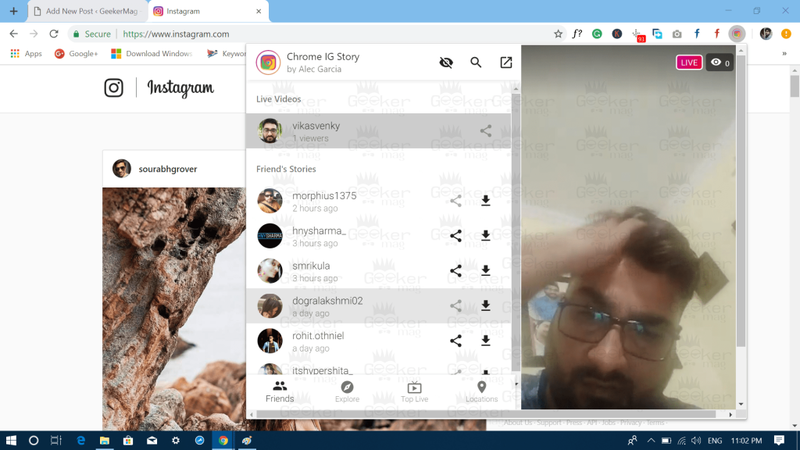 In case, Google Chrome is your default browser; then, fortunately, there is a Chrome extension named as Chrome IG Story available on the web store that let users watch Instagram live videos in the Chrome browser. 1. First of all download and install Chrome IG Story extension from the web store. 2. Once installation of the extension completes, the colorful icon of Instagram starts appearing in the extension area. 3. Now visit Instagram.com and login to your account using the credentials. 4. Next, click on the Chrome IG Story icon. This will open the new window showing you a list of the users who’re currently live or the people who have recently shared the Story. To watch the Instagram live video, you need to click on the user tab; this will open the new window showing you live stream. In case, none of your friends is live; then you can also check the “Top live” section available at the bottom of the screen. Apart from that, using the same extension, you also check Instagram stories shared by your friends. Bonus – In case, the account is not private, then you can also share and download the Instagram live stream accompanied by the Stories. According to the developer of the extension, you can also watch live videos and stories anonymously. Your name will not appear on the list of the Instagram users viewing the video or story. For that, you need to click on the Eye icon available at the top of the screen. If there is a line across the eye, then feature is enable and if not, then the feature is disabled. 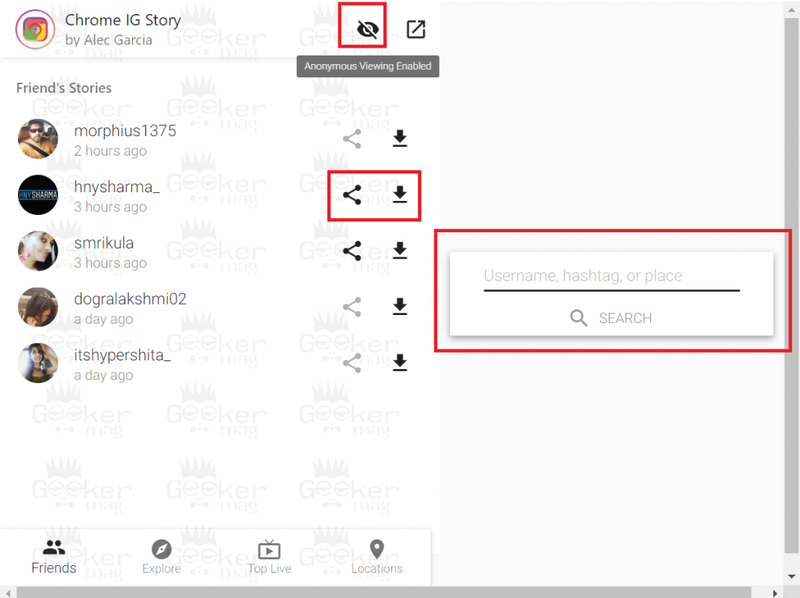 The extension also lets users search by location or hashtag. Ability to watch live videos and stories from the users you do not follow. 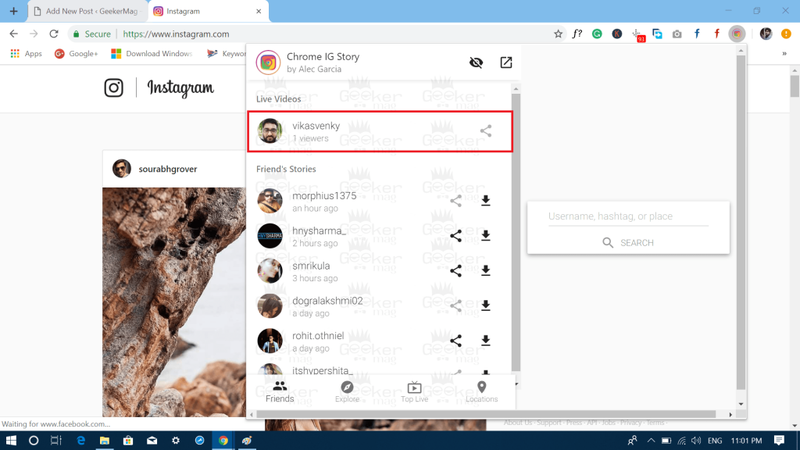 Chrome IG Story extension is one of the application that let users get the most out of the photo sharing application. Find Chrome IG Story extension useful? What are your thoughts about this extension? Let me know in the comments. Himachali, Mechanical Engineer, Snooker Lover, Avid drinker of Scotch, Content Creator, Traveller and Shorter than you (probably). Fix - Chrome "Your Browser is Managed by your organization"
Download Microsoft Chromium Based Edge browser"